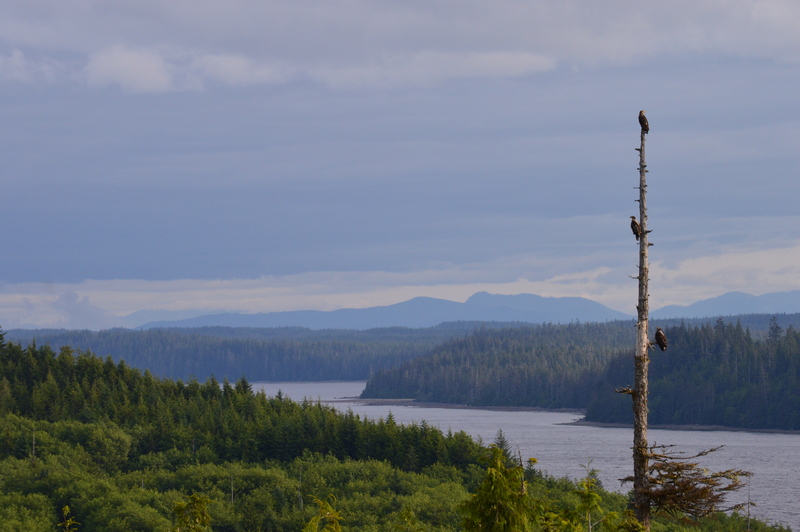 The Haida Gwaii Management Council (HGMC) is in the midst of a Timber Supply Review (TSR) in preparation for determining the Allowable Annual Cut (AAC) on Haida Gwaii later this year. The Timber Supply Review examines the likely impact of current forest practices on an areas timber supply, economy, environment, and social conditions. This information is then used to help determine the Allowable Annual Cut, which limits how much wood can be logged each year. In 2012, under the authority of the KaayGuu Ga ga Kyah tsas Gin inaas laas waadluwaan gud tla gud giidaa Haida Stewardship Law, and the provincial Haida Gwaii Reconciliation Act and Forest Act, the HGMC determined its first AAC for the Timber Harvesting Land Base (THLB) of Haida Gwaii. Up until 2012, the provinces Chief Forester had determined the AAC for the Islands, wherein a separate AAC determination was made for each Timber Supply Area (TSA) and Tree Farm Licence (TFL). Chief Forester Diane Nicholls is employed by the Province of British Columbia. position of Chief Forester since 2014. Taking into account a commitment made in the 2007 Strategic Land Use Agreement (SLUA) to an AAC of no less than 800,000 cubic metres, the HGMCs 2012 AAC determination reduced the amount of forest that could be logged on Haida Gwaii by 47.6 percent, from 1,772,616 cubic metres to 929,000 cubic metres. The Haida Gwaii Reconciliation Act requires that the AAC be re-evaluated every 10 years, however, a review is beginning early for a number of reasons. Top among these are concerns about the current harvesting levels and species selection practices, particularly in regards to old tsuu and sGaahlan Red and Yellow cedar. In addition, newly available Vegetation Resource Inventory (VRI) is being incorporated into the TSR to provide more accurate information about the composition of Haida Gwaiis forests. To work on the technical aspects of the review the HGMC has formed a Joint Technical Working Group comprised of members representing the Council of the Haida Nation and the Ministry of Forests, Lands, Natural Resource Operations and Rural Development. This working group is responsible for reviewing and analyzing the vegetation data and presenting its findings to the HGMC. These findings will provide the HGMC with more accurate data on which to base the new AAC determination. There have long been concerns about the level of harvest of old tsuu and sGaahlan on Haida Gwaii. In 1993, recognizing that old tsuu and sGaahlan was being depleted due to logging, the House of Assembly passed a resolution to develop policies to set aside stands of old tsuu and sGaahlan from harvesting. Eight years later, the House of Assembly passed another resolution to develop a 1000-year plan for Haida Gwaii to ensure the long-term supply of tsuu and sGaahlan for Haida cultural needs. The Strategic Land Use Agreement, signed by the CHN and province, includes a commitment to protect tsuu and sGaahlan for current and future cultural use. This commitment has also been reflected in the Land Use Objectives Order (LUOO) by including provisions for Cedar Stewardship Areas (CSA), as well as protection for monumental tsuu and sGaahlan and ensuring that tsuu and sGaahlan stands are regenerated. CSAs are areas formally protected from commercial logging, where Haida can access tsuu and sGaahlan for cultural purposes. But, despite these initiatives, there continues to be a concern about ensuring that the commercial harvest level of tsuu and sGaahlan in the THLB is not out of proportion to its contribution to the timber inventory. In 2012, recognizing that tsuu and sGaahlan was being over harvested, the HGMC requested that the Chief Forester implement a partition. A partition limits what portion of the AAC can come from a specific type of timber. At that time, the Chief Forester chose to identify a target for tsuu and sGaahlan rather than a more formal partition. The target was set at 39 percent of the annual cut and companies were asked to stay within that limit. While this target was achieved in TFL 60 and 58, licensees operating in TSA 25 exceeded the target. After an analysis of recent logging across Haida Gwaii determined the level of tsuu and sGaahlan being cut in TSA 25 was above the 2012 target, and following a request by the HGMC, the Chief Forester made a decision in October 2017 to establish a partition for tsuu and sGaahlan in TSA 25 and indicated that a tsuu and sGaahlan management strategy should be developed for the TSA. Haidas have long been stewards of Haida Gwaii and for thousands of years, the forests have sustained a vibrant north coast culture. In the early 1900s, commercial logging began in earnest on Haida Gwaii, and Haida control over the lands and resources of the islands was gradually usurped. Under provincial forest management practices, forest companies clearcut old growth forests at a rate that was viewed as unsustainable and inconsistent with long-standing Haida stewardship practices and evolving social expectations. Opposition to this management regime grew and in 1985, Haida elders, youth, cultural leaders and activists took a stand on a logging road at Athlii Gwaii Lyell Island. For both the Crown and the Haida Nation, the stand at Athlii Gwaii was a defining moment. The 1985 stand halted logging in the area and sparked talks between the Haida Nation and Canada that opened the door to a new era of resource management and land protection on Haida Gwaii. Through these talks, the Haida Nation and Canadian government negotiated the Gwaii Haanas Agreement in 1993. This agreement resulted in the official creation of Gwaii Haanas National Park Reserve and Haida Heritage Site, the first National Park Reserve that is cooperatively managed by both an Indigenous government and the Canadian government. For the first time, Haida rights were formally recognized and affirmed by Canada and the Haida Nation began to share in the management of the Islands. In the years since, the relationship between the Haida Nation and the federal and provincial governments has continued to evolve and move toward a more cooperative and respectful partnership. In 2004, the Supreme Court of Canada ruled on Haida Nation v British Columbia (Minister of Forests),  3 S.C.R. 511. The case found the Crown has a duty to consult with Aboriginal peoples and accommodate their interests prior to taking any actions that might infringe upon their rights and title. And in 2007, the Haida Nation and Province of BC signed a Strategic Land Use Agreement (SLUA), affirmingÂ a commitment by both governments to co-manage lands and resources. To further this new relationship the Kunstaa Guu Kunstaayah Reconciliation Protocol was formalized two years later, in 2009. This protocol establishes that specific decisions about resource development and land use on Haida Gwaii are to be shared by the Haida Nation and British Columbia. To implement this new model of shared decision-making, the Provinces Haida Gwaii Reconciliation Act and the Haida Nations KaayGuu Ga ga Kyah tsas Gin inaas laas waadluwaan gud tla gud giidaa Haida Gwaii Stewardship Law were enacted, providing for the formation of the Haida Gwaii Management Council in 2011. For the better part of a century leading up to the signing of the Kunstaa Guu Kunstaayah Reconciliation Protocol in 2009, decisions about land and resource use on Haida Gwaii were made mostly by the Crown. Recent legal principles established by Canadian courts, as reflected in the Kunstaa Guu-Kunstaayah Reconciliation Protocol, are moving Haida Gwaii away from this approach and towards a more shared and joint decision-making model. Although the Crown and the Haida Nation disagree about who holds Title to Haida Gwaii, both governments have taken steps to create a more productive and respectful working relationship by committing to joint and shared decision-making regarding land and natural resource development on the Islands. In order to facilitate this collaborative decision-making, each government appoints two representatives to the HGMC and together they appoint a Chairperson. The HGMC is responsible for the implementation of the Strategic Land Use Agreement; setting the Allowable Annual Cut; developing and ensuring the implementation of Land Use Objectives for forest practices; approving management plans for protected areas; and developing policies and standards for the identification and protection of heritage sites. While this form of management is a significant change from how resources have been managed over the past century, the guiding principles are not new. The Haida view of stewardship, or the obligation of responsible use and protection of the natural world, has existed for many thousands of years. When the HGMC was established, it signalled a return to a management system that corresponds more closely with the Haida approach to natural resource management, grounded in yahguudang respect. For the province, this new arrangement is the only one of its kind and represents a desire to work collaboratively and in the spirit of reconciliation with the Haida Nation. There is still a long way to go in the process of reconciliation. As the Kunstaa Guu Kunstaayah Reconciliation Protocol says, what has been achieved so far represents, an incremental step in a process of reconciliation of Haida and Crown Titles. Until the matter of Title is resolved, the work of the HGMC is essential to ensure the respectful and responsible management of Haida Gwaii lands and resources. The establishment of the Haida Gwaii Management Council has resulted in a more productive and respectful approach to land and resource management on Haida Gwaii. A number of decisions about land use and resource development on Haida Gwaii are now made by consensus at the HGMC table. Developing policies and standards for heritage site identification and conservation. Identifying policy issues that the Province of BC and the Haida Nation should consider. 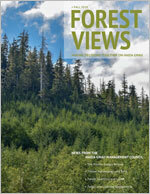 In 2012, the HGMC carried out a Timber Supply Review (TSR) for all of Haida Gwaii. The purpose of a TSR is to analyze the impacts of current forest practices on an areas timber supply, economy, environment, and social conditions. • Non-commercial uses of the forest. Loss of forest due to insect infestations or disease. Public involvement and comment are also important factors in the TSR process, which includes opportunities for public consultation and input that is considered by the HGMC when an AAC is being determined. On April 4, 2012, the HGMC set Haida Gwaii AAC at 929,000 cubic metres, a 47.6 percent reduction from the previous AAC of 1,772, 616 cubic metres. An updated TSR is expected to be completed later this year, with a new AAC following shortly thereafter. Over the last several years, the HGMC has also held Forest Strategy forums, approved a minor amendment (2014) and a major amendment (2017) to the Land Use Objectives Order, and undertaken work to update the Protected Area management plans to align with the recently completed Marine Area Plans. The HGMC also continues to develop a draft policy for the identification and conservation of heritage sites. The HGMC is working with the Reconciliation Table and Solutions Table to better understand the non-consensus issues that are arising at the Solutions Table. The Haida Gwaii Management Council has signed off on a major amendment to the Land Use Objectives Order. This is the second amendment the Council has made to the original 2010 LUOO, the first being a minor amendment made in 2014. This new amendment went through the HGMC’s full decision-making process, including a public review and comment period, and received final approval in early September 2017. The Haida Gwaii Land Use Objectives Order (LUOO) is a set of legally established objectives that guide forestry practices and ensure the implementation of ecosystem-based management (EBM) on Haida Gwaii. The Haida Gwaii Management Council is responsible for reviewing the LUOO and amending or establishing new objectives as needed. The Haida Nation and Province began working on defining the Objectives in 2008, and the two governments formally passed the Land Use Objectives Order in late 2010. The Haida Gwaii LUOO has some of the highest environmental standards and practices regulating forestry in all of North America. The Land Use Objectives are guided by the Strategic Land Use Agreement, which was implemented to protect Haida cultural values, support biodiversity, and maintain the integrity of important wildlife habitats. The Objectives apply to all major forest licensees on Haida Gwaii, but not on private lands. 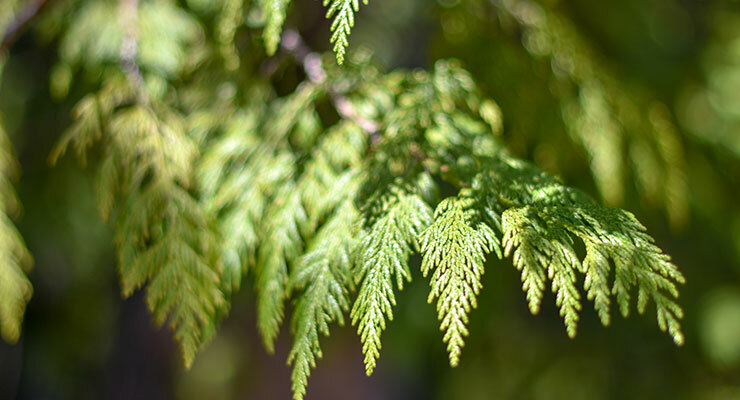 The cultural objectives are in place to protect Cedar Stewardship Areas, Haida heritage forest features, culturally modified trees, monumental tsuu and sGaahlan Red and Yellow cedar, and ensure the retention of hlGiid Western yew and tsuu and sGaahlan. The aquatic objectives address the protection of Type I and II fish habitats, active fluvial units, upland stream areas, and sensitive watersheds. The biodiversity objectives cover forested swamps, ecological representation, and red- and blue-listed ecological communities. The wildlife objectives include protection for taan Black bear dens and nesting habitats for tsallang.n- ga Marbled murrelet, stads kun Northern goshawk, hlGuu Great blue heron, and the staw Northern saw whet owl. The forest reserves have no commercial logging in order to meet objectives for ecological representation and tsallang.nga Marbled murrelet nesting habitats. Now that the major amendment has been approved, the HGMC has publicly posted a Notice of Order and filed the Order with the Haida Nation and the Haida Gwaii Natural Resource District office in Daajing Giids Queen Charlotte. Adding new rare plants to the list of Class 1 Haida Traditional Forest Features, such as hlunxid Richardsons geranium and others. Removing common and abundant Class 3 Haida traditional forest features, such as: daall sgilGa Sitka columbine, kaaltsida gyaadGa Old mans beard, tllGaanGa hlkaay.yii Kinnikinnick, and others. Creating new reserves for stads kâ€™un Northern goshawk at Feather Creek and Hancock River; and, requiring licensees to submit digital data showing reserve zones set aside to protect taan Black bear dens. New objectives to protect the integrity of gwaay kyah Indian hellebore, maintaining a minimum of 50% of gwaay kyah plants in stand level retention. Allowing the alteration of removal of a Class 1 or 2 Haida Traditional Forest Feature, provided that an intergovernmental process is completed, and the alteration or removal is required for road access or other infrastructure, and there is no alternative route or location for this road or infrastructure. Providing for the modification of reserve zones around Class 1 and 2 Haida Traditional Forest Features to address safety concerns or to protect these features from windfall. Allowing for the alteration or removal of a reserve zone protecting Type I and Type II fish habitats to allow for road and bridge construction, or to address safety concerns, if there is no alternative route. An intergovernmental process must be completed, an adaptive management plan must be developed and implemented, an assessment of risk to the fish stream must be completed by a qualified professional, and the integrity of the fish habitat must be maintained. When the K’aas Gandlaay area is included in the Duu Guusd Heritage Site and Conservancy, as agreed to by the Haida Nation and the Province, it will add 1,202 hectares to the more than half-million hectares of upland and foreshore area already protected on the Islands. These areas, including the Gwaii Haanas National Park Reserve and Haida Heritage Site, Gantl’ Gadaas Pure Lake and Naay Kun Naikoon Provincial Parks, five Ecological Reserves, and 11 Protected Areas, cover more than 52% of the archipelago. When the boundaries for Duu Guusd were estab­lished in 2008, K’aas Gandlaay, an area of high cultural value, was considered for inclusion but outstanding issues had not been resolved. At the time, Husby Forest Products was active in the area and had already made an investment towards road development. Through negotiation, the Haida Nation reached an agreement with Husby to cease activity around K’aas Gandlaay, but that occurred after the establishment of the Duu Guusd protected area. In the years since, the Haida and provincial governments have agreed that K’aas Gandlaay should be includ­ed within the protected area of Duu Guusd. In the interim, the provincial government established a forest re­serve in the area to provide protection until K’aas Gandlaay could be desig­nated as part of Duu Guusd. Following that, the HGMC sent a letter to the Deputy Minister, Ministry of Environ­ment, requesting that the boundaries of Duu Guusd be amended to include K’aas Gandlaay. The Haida Nation and the province have now agreed on technical aspects of the boundary and the Province is prepared to seek a leg­islative amendment to the Duu Guusd Haida Heritage Site and Conservancy to include the K’aas Gandlaay area. The Haida Gwaii Management Council is responsible for developing policies and standards for the iden­tification and conservation of heri­tage sites, and for the approval and amendment of management plans for protected areas. Protected areas, which are jointly managed by the Haida Nation and the Province, are important as cultural, social, ecolog­ical and spiritual sites. They include permanent and seasonal village sites, places for the collection of food and medicine, trade and potlatching sites, and areas containing biologi­cally diverse habitat for endangered and at-risk plants and animals. 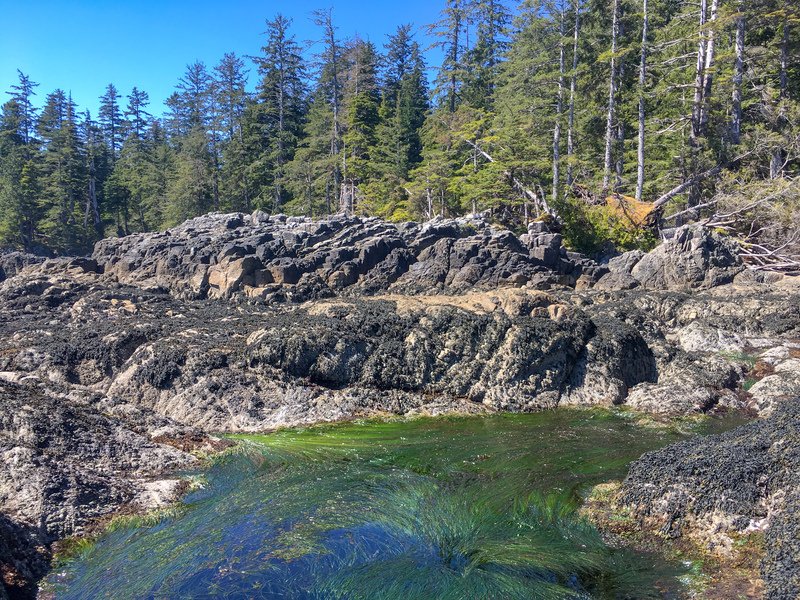 The Haida and provincial gov­ernments are currently in the process of setting priorities for updating management plans for the protected areas, which are formally recognized by the Haida Nation as Haida Her­itage Sites and by the Province of British Columbia as Conservancies. 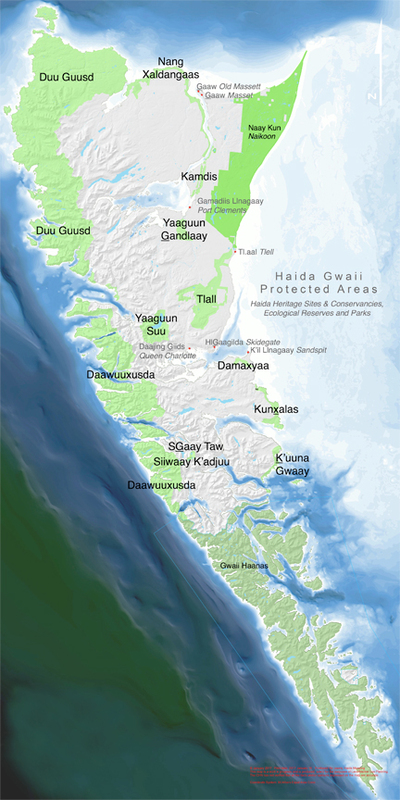 Each management plan establishes the vision, long-term strategic direc­tion, guidance, and acceptable uses of the area; ensures that any activities are respectful of the natural values and not in conflict with Haida social, ceremonial and cultural uses; ensures protection for lands and seas in their natural state; describes the background and legal context of the area; and, man­ages visitor use. 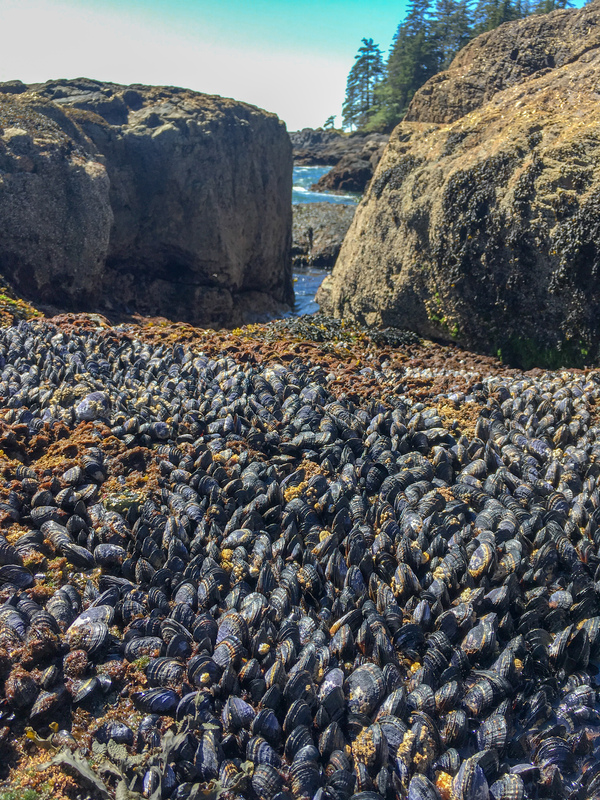 The governments are updating the plans to ensure that the objectives and strategies of each plan are in line with the recently developed Haida Gwaii Marine Plan. Once the HGMC approves the new or amended Protected Area Management Plans they become legal documents under the Haida Gwaii Reconciliation Act. There are now 1,202 more hectares of jointly protected land on Haida Gwaii. The Honourable George Heyman, British Columbia’s Minister of Environment and Climate Change Strategy, announced this week that Bill 19 Protected Areas of British Columbia Amendment Act, 2018 passed Third Reading in the provincial legislature on May 15th and received Royal Assent two days later. The amendment, which is now in force, includes several additions to existing protected areas. The largest addition was made on Haida Gwaii, where the K’aas Gandlaay Pitch Creek area was added to the Duu Guusd Haida Heritage Site and Conservancy. Duu Guusd is Haida Gwaii’s second-largest protected area, encompassing a sizeable swath of the west coast of the Islands. In 2008, when the boundaries for Duu Guusd were officially established, K’aas Gandlaay was left out. K’aas Gandlaay has long been considered an area of high cultural value by the Haida Nation. Situated east of T’aat’uu GawGaay Tartu Inlet near the mouth of Chaahluu Kaahlii Renell Sound, the K’aas Gandlaay area is rich in archeological sites, some of which were recorded by the Council of the Haida Nation between 1998 and 2003. The most unique of these findings were dozens of culturally modified kayd Spruce trees scattered along the creekside. The trees, some still living, bear scars that show where Haida ancestors extracted k’aas Spruce pitch many generations ago. In 1981, as concerns were growing about the scale of logging on Haida Gwaii, the Haida Nation designated Duu Guusd Tribal Park and petitioned the provincial government to defer all development plans within the area. Duu Guusd was the subject of conflict for three decades while the Haida Nation protected the area from logging. In 2008, Duu Guusd became formally protected both by the Haida Nation as a Haida Heritage Site and by the Province of British Columbia as a Conservancy. At the time, however, Husby Forest Products was active in the K’aas Gandlaay area and had already made an investment towards road development. Through negotiation, the Haida Nation reached an agreement with Husby to cease activity around K’aas Gandlaay, but by that time the protected area’s boundary had been established and K’aas Gandlaay remained outside of Duu Guusd. Since then, the Haida Gwaii Management Council, the Council of the Haida Nation, and the Province have worked to add K’aas Gandlaay to Duu Guusd. In 2015, the HGMC wrote a letter to British Columbia’s Deputy Minister of the Environment, officially requesting that K’aas Gandlaay be added to Duu Guusd. In the interim, the area was designated as part of a Forest Reserve in order to afford it some level of protection under Provincial law. This Spring, K’aas Gandlaay was included in Bill 19 Protected Areas of British Columbia Amendment Act, 2018 which amends the legal description of Duu Guusd protected area to include K’aas Gandlaay. With the protection of K’aas Gandlaay now formalized in both Haida and provincial law, the updated Duu Guusd Haida Heritage Site and Conservancy now covers approximately 144,934 hectares of upland and 84,173 hectares of foreshore. Protected areas on Haida Gwaii, which include the Gwaii Haanas National Park Reserve and Haida Heritage Site, Gantl’ Gadaas Pure Lake and Nee Kun Naikoon Provincial Parks, five Ecological Reserves, and 11 Haida Heritage Sites/Conservancies, cover more than 52% of the archipelago. Eel grass in the K_’aas G_andlaay area.